This weeks Wordless Wednesday is a patriotic salute to our nation's birth! 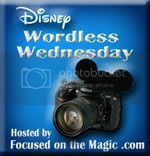 I am straying a bit from the general idea of a wordless Wednesday post. There are, in fact, words. But only in song form by the amazing Voices of Liberty. Awesome video! I love the Voices of Liberty! Thanks for sharing and joining in on the blog hop fun today!! Happy Independence Day! Thank you, Deb! Happy Independance Day to you too! Perfect video for the day! The lady sure can sing! Happy Independence Day! Thanks,Steve! I was completely blown away by the performance at the Pixar Stamp Ceremony! Wish I had pipes like that! Hope you are having a wonderful 4th of July!! Thank you, Lisa! You too! Absolutely beautiful! Great choice and very original. Hope your holiday was great. Happy 4th! Thanks a bunch! Happy 4th to you!